Lalita has an original painting 36"X36", "No Worries Man" will be auctioned off in the live auction! Comedian & Actress Tracy Ullman to serve as guest Auctioneer! Lalita's original painting "No Worries Man, Plenty Fish In Da Sea"
Grand Opening "Le Swisse Art Gallery"
A celebration of the art and artists! Refreshments Served - Everyone Welcome! Actress Sharon Stone as guest Auctioneer! Thank you generous Art Patrons of Ft. Myers! 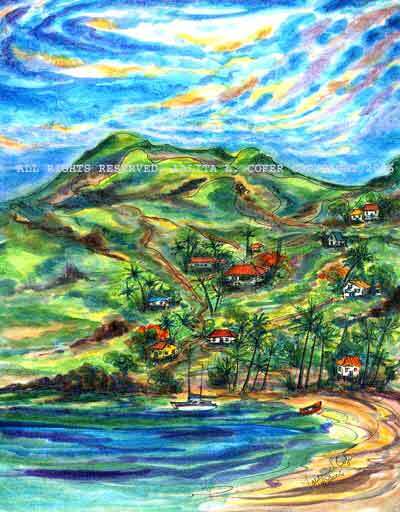 Lalita's painting "The Carenage" sold for a happy $1,500.00! 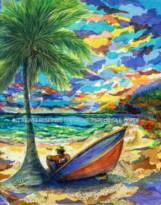 Lalita's Painting "Fish Ain't Bitin" has been chosen to be featured by the Boston Symphony Orchestra's Tanglewood Jazz Festival 2005 Playbook! Thank you, John &Cuqui Osborne for your support! National League of American Pen Women Show at Art for ACT Gallery! Featuring the art of Lalita and many other fabulous Pen women artists including: Honey Costa, Cheryl, Fausel, Joan Klutch, Janis Balabon, just to name a few! featured in three glorious publications! 2006 Season Playbooks for the Miami City Ballet, the New World Symphony in Miami, and the Alvin Ailey Dance! 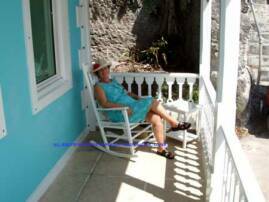 The Tower Gallery...Lalita's Home Gallery! At the TOWER GALLERY - in March! "HOT CLIMATE - COOL ART"
All are invited, come enjoy the party, and sample the hors d'oeuvres and wine! 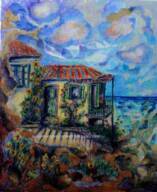 Lalita will have several new works inspired by the Mediterranean and Greece! the Cape Coral Art Studio "ART FOCUS"
Summer Fun for Kids at the Cape Coral Art Studio! Thank you to the Art For Act ART PATRON who generously bought this painting! 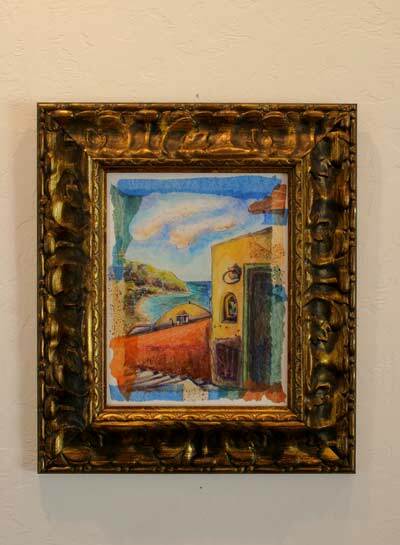 The Shores of the Mediterranean"
Lalita Cofer's "Starry Night Piglet"
Lalita's Painting has been chosen for the 2nd year to be featured by the Boston Symphony Orchestra's Tanglewood Jazz Festival 2006 Playbook! Thank you, John & Cuqui Osborne for your support! See the painting, buy a print for $50. Thank you art patronS and generous supporterS of ACT for your purchase/donation of my art evry year! Images below of 'Sold paintings' from the ACT Auction over the last few years. God Bless you Bob Rauschenberg, may you rest in peace! Thank you for all you gave us, as artists, art lovers and in your generous support of our community. It has been a privledge to be on the planet with you. An invitational show...www.rivieracc.org for reservations and ticket purchase for this extravagant one night event. The Tower Gallery Fund raiser show for Haiti...and Doctors Without Borders! March 30th from 5 to 9PM with a Chinese Auction of the Artists works with all the funds raised to support the charity! Mark your calendars and come out for fun and art!